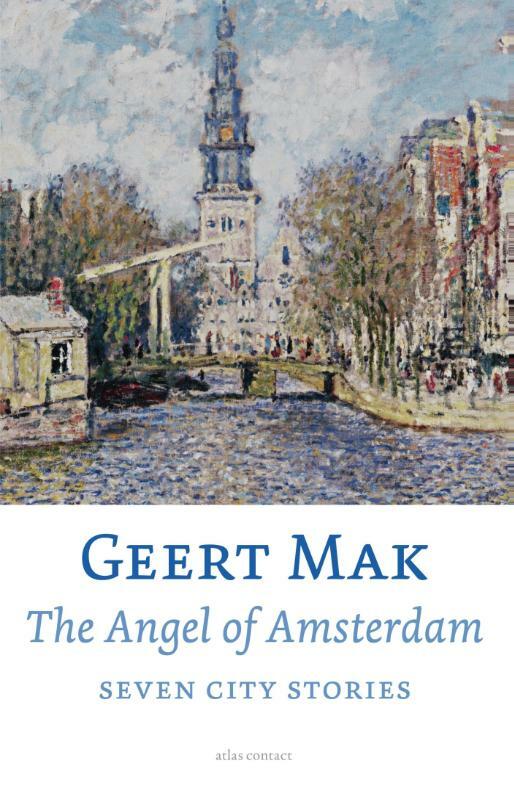 Finally, we have an English-language edition of prize-winning Dutch author Geert Mak’s Angel of Amsterdam. Mak is one of the finest of Dutch authors and the book provides unique glimpse into and better understanding of this fascinating city. First published in 1993, The Angel of Amsterdam: Seven City Stories introduces a large, varied cast of loyal Amsterdammers, dating from 1275 to approximately 1990, all boasting a unique attachment to the city. All seven stories are independent essays, connected only by being set in Amsterdam. Readers familiar with the city will be able to identify neighbourhoods, buildings, and the names of historical figures. The first story, ‘A City in Blue’, is a modern-day description of Amsterdam from an aerial perspective. This is followed by, ‘Stone and Earth on the Burgwal’ which delves into the history of the city via the artifacts found in a house being renovated by the narrator. The third story considers the mitigation of staunch religious standards as people from isolated rural areas move to the city seeking better opportunities. Rembrandt is the central figure in ‘The Forgotten Girl, the City and the Painter’ – with his changing fortunes reflecting the changing values of Amsterdam society in 1600s. The last three essays focus on population groups not generally photographed for Amsterdam tourist guides. “Making Tracks around Central Station’ follows prostitutes, pimps, and homeless people with chronic substance abuse issues or mental health problems. The narrator spends time with these individuals, learning how and where these people survive in the city. Similarly, ‘Three Afternoons with Henk Plenter’ sees the narrator accompanying a public health inspector responsible for investigating complaints regarding bad smells. The cause of the stench often related to an individual, sometimes dead, but often suffering from an untreated psychiatric illness and abandoned by family, friends, neighbors or social services. Overall, this book of short essays provides an interesting insight into Amsterdam’s history, and the social fabric that make it the colorful city it is today. After 20 years, it is a little dated and may benefit from the addition of a present day story to add relevance for newer residents of the city. Yet The Angel of Amsterdam remains a fascinating commentary on the city and its inhabitants.